So, you’ve decided to market your house as a rental property. If this is your first time leasing your home, you probably have a million questions about the process. Not only are there the business components to consider--after all, you will in fact start a rental business--but the to-do list to prepare the property for tenants is lengthy. Our suggested month-by-month guide and checklist is the best way to begin thinking about the specifics your property will need. Assuming you have the time, a 6-month prep period is ideal to avoid overwhelming burnout, but the timeline can be adjusted and condensed if you're willing to put in the hours. 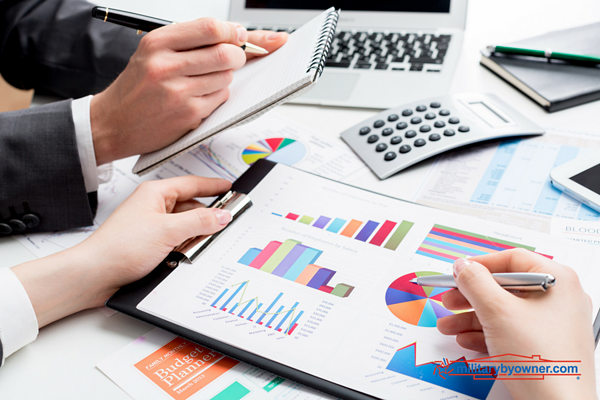 It’s never too early to begin reviewing personal finances and how they will affect the rental business. Budgeting and saving for repairs and improvements to the property are just the beginning of the business end. For example, owners will have to consider if a property manager is needed and how their taxes will be affected. Your homeowner’s insurance will certainly change by deeming your home a rental property. Comparing prices and coverage from multiple insurance companies will begin to show a portion of the expenses a rental operation will incur. Investigate home warranties, especially if you’ll be a long-distance landlord. The options are varied and can be pricey, but ultimately the coverage can save you thousands if you think your major systems like HVAC are on their last legs. For some owners, the peace of mind and convenience of the policy is more than worth the expense. If a home warranty is not feasible for your property, deciding who and for what the owner and tenant will pay for with regard to repairs should be included in the lease. Vendor names and the decision as to who makes appointment times is also critical. Timing is everything. A lot of thought must go into the decision as to when, and for how long, a rental property will remain a rental property. Is this an investment property in perpetuity, or will you return after a PCS brings you home? Some markets will have rental “seasons” when renters are more plentiful, and other off times when it will be difficult to rent the house for the payment your business demands to be profitable. It’s a good idea to consult a real estate professional’s advice on the perfect timing. 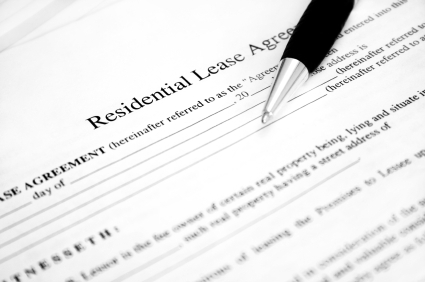 Begin to research state-specific rental leases. Each state will have their own version and differ enough that a generic agreement won’t cut it. Compiling a list of items that you want to include to customize the lease is also a good idea. You’ll want to state clearly what the landlord is responsible for and what is expected of the tenants. Is your property going to be pet-friendly? If so, to what extent? Only dogs? No exotics? How much will the pet deposit be? These are some of the questions to begin asking yourself, knowing that limiting or restricting pets will cut your potential renter pool. A landlord’s worst nightmare is going through an eviction process. Prepare yourself and understand your state’s laws for removing tenants. In general, laws favor tenants. Doing what it takes to avoid an eviction is often the best, least expensive way to go. Computing your mortgage payments against what the market can hold for rent per month will take some investigating. Although you’d hope to earn at least a few hundred dollars per month, it might not be feasible after fees for warranties, insurance, and repairs add up. Taking into account what military members earn in BAH is also a factor into how much a landlord can ask for. 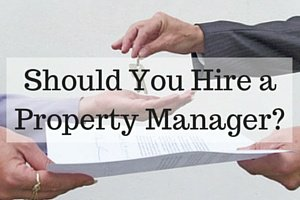 Deciding if a property manager makes financial sense for your situation will take some examination. The situation becomes even more challenging when the owner is not near the property to help with repairs. Although it's often said a property manager will take 6 to 8 percent of the rent per month on average, other payment options exist and the level of their intervention also fluctuates depending on your needs. 24 hour/7 days a week access will cost you more than an “as needed” basis. An accurate inventory of the home’s repairs is a must. To attract the best tenants for the most rent per month, the property should be near pristine condition. This is the time to remove old carpeting and install an engineered wood floor or to repaint the entire home. Bathroom and kitchen updates are also readily sought after. Other small repair items like running toilets, holes in drywall, and leaky showers should be attended. By law, any hazardous conditions have to be rectified before tenants move in. After the improvements are made, the blank slate should be documented through video and photos. With proof of the condition the tenants moved into, the possibility of a dispute over property damage and the return of rental deposits should decrease after the walk-through check list is signed by both parties. Tenants prefer to feel prepared to take care of their home. Providing them a collection of manuals for appliances and other household goods allows them to learn specifics like troubleshooting and cleaning schedules. Begin organizing a collection of information you want your tenants to have; this could be phone numbers for your preferred service vendors and detailed instructions on how to change furnace filters. Everything that makes the house tick with regular maintenance should be included. Advertise to who you would want living in your home (military, non-military, singles, families, etc.) and provide the information that is important to them. This includes accurate driving calculations to local bases and the correct school designations for the property. Highlighting the best features of the home is also very important. For instance, if there is wood flooring throughout, mention it; if the fireplace is outfitted with easy to use gas logs, add it to the list. If the marketing has been done well, inquiries will begin to appear. It’s time to be prepared with options for background and credit checks. There are too many potential negative circumstances to ignore the usefulness of each. They are designed to protect both the owner and applicants. If tenants refuse to provide the information you request, it's likely best to move on to another candidate. MilitaryByOwner partner SmartMove provides everything you need to make sure your due diligence with background and credit checks are done properly. After vetting your tenants, a complete read over of the lease is necessary, as it's time to be specific as to what you as the homeowner require. Keep in mind, the tenants will likely have insertions they would like to include. A military clause to enhance the Servicemembers' Civil Relief Act (SCRA) is a strong possibility if they are active duty. The amount of rent and how it is paid. meaning electronically or a check sent. The amount of security and/or pet deposit. A description of how the deposit it is returned, whether after the move-out walkthrough or in the mail a month later, etc. Consider that some landlords hold the deposit in an account to accrue interest if allowable by law. The insertion of a Military Clause if the homeowner is active duty. This is often referred to as a “reverse military” clause. This clause allows the owner to return home if they receive PCS orders. The current tenant would have to leave their lease early. This type of clause is rarely advantageous to the renter unless specific accommodations are made, such as providing many months’ notice of eviction or offering to pay moving fees. Determine if smoking or non-smoking tenants are considered. If smokers are permitted, will they need to eradicate the smoke smell from the house when they leave? Describe a thorough pet policy. Pets allowed, pets upon approval, or no pets. Some owners choose to require professional pest control for the property in addition to documentation the pet is on flea and tick preventive medicine. Also discuss if professional carpet cleaning beyond the norm is necessary. Even without pets, homes in some regions of the country fare better with monthly pest control. Is the landscaping service provided or is the tenant responsible? Specifics should be addressed: lawn, weeding, mowing, trimming hedges, sprinkler weatherization, and mulching each spring. Power washing the exterior of the house and gutter clean outs may be required annually. Is the tenant responsible for utilities or does the landlord cover? A parking permit is provided or tenant applies for parking permit. Owner and tenant agreed upon definition of normal wear and tear, including appliance repair. Receipt as proof of professional carpet and house cleaning is required before the tenant departs, or the cost is deducted from the deposit. Filter changes for heating and air and possibly appliances such as the refrigerator. Official calendar dates as to when the owner or property manager will visit. If improvements or repairs are required and the tenant must temporarily relocate, who will pay for the hotel? Require proof of a renter’s insurance policy from the tenants. Guidance for tenants if they choose to make cosmetic alterations, such as paint color. Once the lease is settled, a definitive move-in checklist is in order to put tenants on notice as to the condition of the property you are turning over to them. Because you have current pictures and videos of the empty home, this should be an easy process to negotiate. The tenants should also make note of items they find askew to avoid charges later. A move in check list is also a good indicator as to what the move out check list will have. 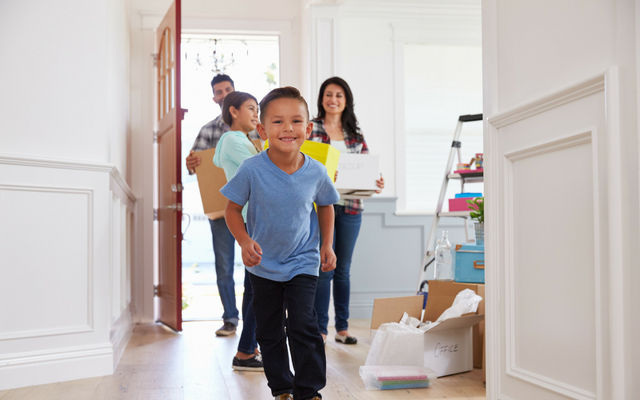 After so much preparation, it should feel like a relief that quality tenants have moved in and begun taking care of your home. Still, it’s not time to sit back and watch rent payments roll in. Without burdening the tenants, regular check-ins are in order to make sure the house is functioning properly and to ask about any issues. The best way to maintain the home’s condition and constructive relationship with your renters is to keep open dialogue going throughout the lease terms. Because becoming a landlord is time consuming and detailed oriented, whether you're a veteran or it's your first time, MilitaryByOwner has more than one resource to guide your new rental business. Be sure to download MilitaryByOwner's Landlord/Tenant ebook and also see the checklist below.